Fox News host Sean Hannity told the world this week that his relationship with Michael Cohen — and his failure to ever mention that to anyone — was a big nothingburger. But a review of the record suggests that the conservative firebrand would be far less charitable if the shoe were ever on someone else’s foot. 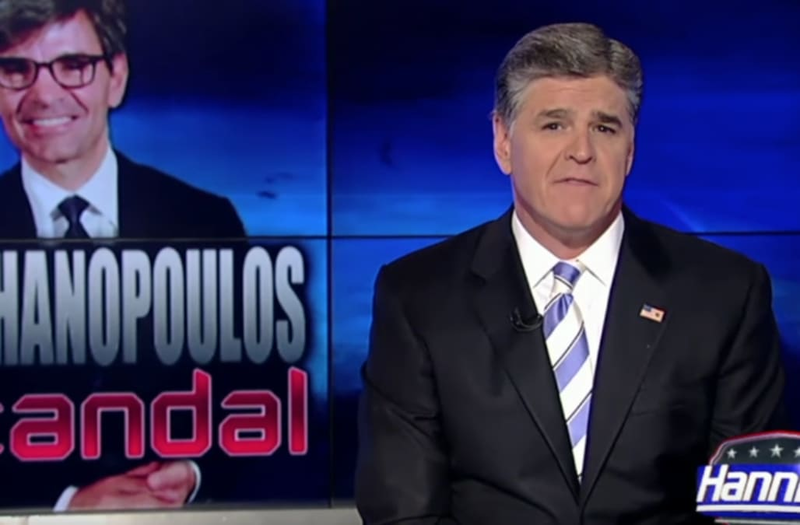 When news emerged in May 2015 that “Good Morning America” host George Stephanopoulos failed to disclose a $75,000 donation to the Clinton Foundation, Hannity was less than forgiving. The mashup of painful footage was ably documented by the professional Fox News watchers at Media Matters for America — whose video you can watch above. For what it’s worth, Stephanopoulos offered an apology over his failure to disclose the donation and ABC — like Fox did with Hannity — announced that it would stand behind him. In the days after a federal judge in New York forced lawyers for Michael Cohen to reveal that Hannity had been a client, his employer has struggled to contain the fallout. In a statement, Fox News said that while they had been taken by surprise at Hannity’s affiliation, the network would continue to stand by him. “While FOX News was unaware of Sean Hannity’s informal relationship with Michael Cohen and was surprised by the announcement in court yesterday, we have reviewed the matter and spoken to Sean and he continues to have our full support,” a network spokesperson told TheWrap.